USB sticks continue to be a popular promotional product for many businesses out there seeking a simple yet effective solution to advertise their brand to their target audience. Research has suggested that promotional products, in general, tend to be kept between 1 and 5 years and are very effective in helping to build up a relationship with users who maybe aren’t as familiar with your brand. In the case of USB sticks, it could be argued that because they are so frequently used in this day and age they offer a greater level of exposure than maybe other more traditionally printed merchandise or promotional goods. It’s important to note the steps a business should take when it comes to buying promotional products, especially USB sticks where there is so much choice available. We’ve created a helpful guide below which should provide businesses with a helping hand when it comes to choosing the perfect promotional USB stick. A simple question which often requires a complex answer. USB flash drives can be used in just about any form of promotional marketing out there whether it be for exhibitions or events, as a corporate gift to a potential client or even within direct mail campaigns! It’s important to understand that whichever way a business decides to use their personalised USBs they must ensure the finished product is relevant to the audience they are targetting. The type of USB and the memory size required are the first two things a business should consider before ordering. USB2U offers a whole range of different USB sticks from the classic looking Twister model, to wooden, and even credit card shaped USBs all of which offer slightly different branding opportunities. Memory sizes of our flash drives range from 128MB all the way up to 64GB. This is important to note if you are planning on adding files onto your USB which you want your customers to view. A general rule of thumb is to try and buy the largest capacity you can afford to ensure that 1. your product offers the best possible chance of being kept and reused and 2. there are no issues when it comes to loading data onto each memory stick – if for example, you want to add 120MB of data onto each USB we would often recommend you go for the next available memory size up than stick with 128MB, as often the actual capacity of your USB stick is slightly less than that which is advertised. 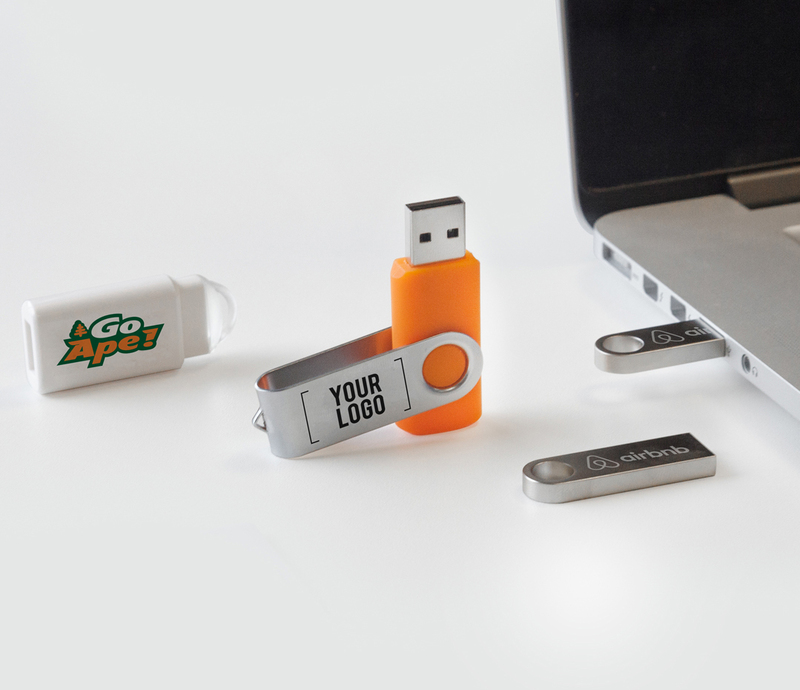 Logos, messages, slogans and designs can be transferred onto your USB stick in a variety of different ways, including via full-colour digital printing, spot colour printing, laser engraving or even through use of resin dome stickers where required (a full list of options available can be found here). 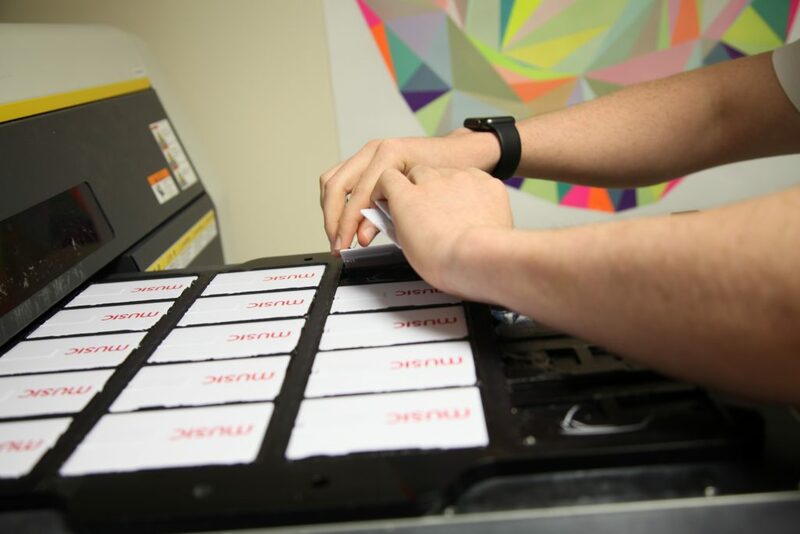 Bearing this in mind certain products can only support certain types of branding, this can typically be down to the material the memory stick is made from with, for example, metallic models such as the Mercury USB only supporting engravings rather than traditional print. The logo or design you plan to use can also be a deciding factor when it comes to selecting the right USB. With most models supporting a typical print or engraving area of 2 – 3cms it may not be appropriate to use classic USB sticks if you are wanting to use a design that requires a large amount of space or is relatively complex. Often we’ll recommend going for credit card USB sticks which typically support a large surface area and also allow for full-colour digital printing. USB2U hold a large number of products in-house which enables us to brand and send out USB sticks relatively quickly. Our delivery time for USBs is typically 5 days or less on most standard USB models however it’s worth noting that it can take longer than this if ordering in bulk, of if you require something a little more bespoke i.e. custom designed USBs. We always recommend where possible to let us know the time frame you are working to so that we can provide the correct service options for you. If for instance, you are ordering last minute for a show or event we can offer an express service which ensures we can get products shipped out to you in as little as 24hrs. This obviously restricts the products available to choose, however, as some may not be available in UK stock. The time of year that you order your promotional USB sticks should also be a consideration. Most USB flash drives are imported from China, and as such the overall supply chain is built up from a handful of fabrication plants found throughout the country. During China National Holidays, it is not uncommon for these facilities to close for up to 2-3 weeks. As such the availability of flash memory and USB sticks shrinks, therefore, meaning that certain product lines may become unavailable and prices can also sometimes increase. The main national holidays to watch out for are the Chinese New Year which takes place around January/February time and Golden Week which usually creates delays from Mid-September to October. If possible we recommend you order at the least a week or two before the start of these holidays to avoid delays and ensure we can get hold of your chosen product. As when buying any product online, especially in bulk quantities, it’s important to stick with a seller you know you can trust. USB2U has been a supplier of USB sticks to UK businesses for more than 15 years and as such offer a great level of customer service and product quality that you can rest assured will last. 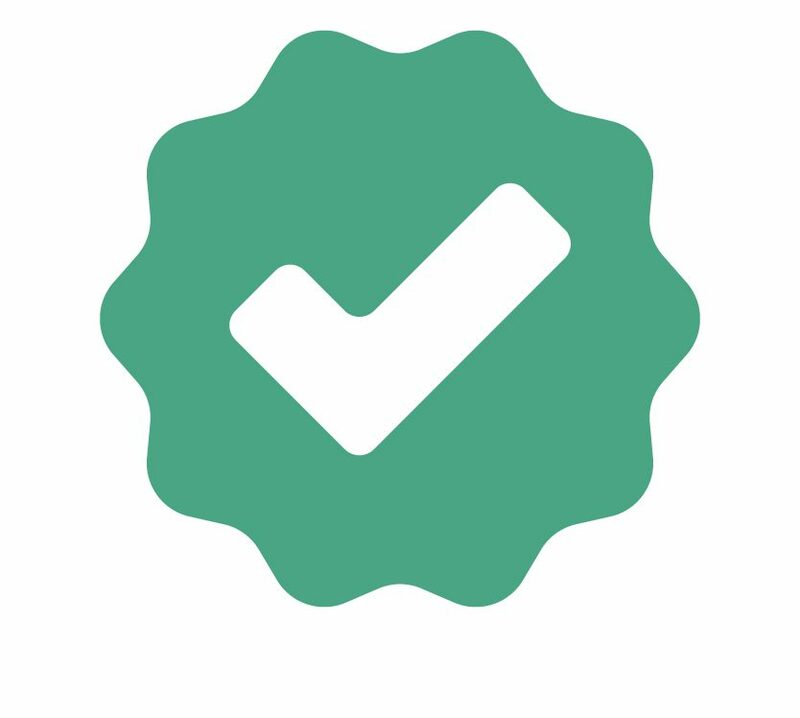 Just take a look at our Trustpilot reviews if you don’t quite believe us. If still unconvinced, why not email us at sales@usb2u.co.uk or give us a call on +44 (0) 1604 685 040, we’re happy to chat with you and help talk through any requirements you may have for your promotional USB sticks or just about any other promotional product available on our website.